We made it! Our tasting room is now open Thursdays and Fridays 4-10 PM and Saturdays noon-10 PM. We’ll be adding Sundays in a couple weeks when our liquor license is finalized and likely expanding the weekday hours later this fall! In addition to 7 or 14 oz pours in our tasting room, we’ll fill growlers, our branded growlers won’t be here for a couple of weeks (so BYOG). We have food trucks scheduled for most days, but always looking for more options if you know somebody with some good grub on wheels let us know! We have a pretty good range of beers on tap right now, from our diminutive and gently-hopped wheat beer Ziparillo to the raw and punchy DIPA Uncontrollable Laughter. 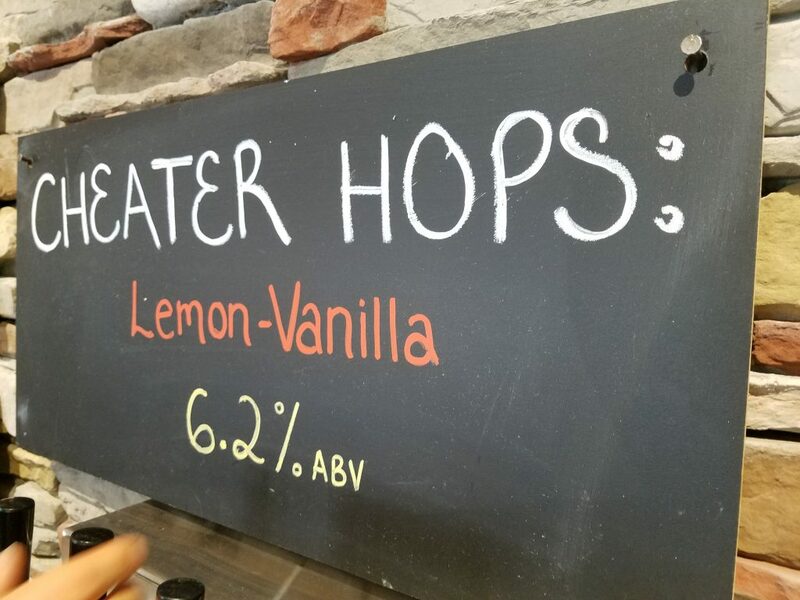 We’ve also been having fun with single-keg infusions of our Cheater Hops IPA – so far we’ve tried grapefruit zest, and vanilla bean and lemon zest. We’re using Cornelius (Corny) kegs for these, the same style that our homebrew kegerators are setup for. These were originally designed to hold soda syrups and have large lids that make it easy to add whatever fun or interesting ingredient we want to try! Everyone can get samples of these, but only folks in the Founders or Sap Club can take home growlers because of how limited they are. During September we also started our barrel-aging and sour beer program in earnest. We filled eight barrels (four Sauvignon Blanc with pale saison and four Chamberlain with dark saison). The pale saison we’re hoping will be ready for a spring release. We added dried currants to one barrel of dark saison and dates to another, the plan is to blend and release those for fall 2019 as the start of an annual tradition. We also transferred an entire 250 gallon batch of pale sour beer onto 60 lbs of Chardonnay grape pomace (the skins and everything else left after Old Westminster collected the juice for a wine). To mark the opening, I wanted to take a look back at the last two years to give you a sense of the timeline from conception to opening. Obviously, this leaves out hundreds of things that didn’t seem so small at the time (building benches, painting walls, researching equipment), but it gives a sense of the broad-strokes required to open a brewery. July 2016 – Scott emailed Mike to talk about the book (he’s still working on). We start kicking around the idea of opening a brewery. July 2016 – Settled on Sapwood Cellars as the name thanks to input from friends and family (other potential options we discussed included Edge Grain, Progeny, and Wye Oak). August-December 2016 – Worked on our business plan, financials, and scouted locations. Applied for trademark on brewery name. January 2017 – Signed an Operating Agreement and formed our Maryland LLC. Began brewing test batches in earnest. March 2017 – We became aware of the space that would become our brewery. It already had a bar, bathrooms, cold box, and concrete pad… literally perfect. The current landlord was in the process of selling the building, so there wasn’t much urgency to get a new tenant. December 2017 – Signed the lease and got the keys for 8980 Rt 108 Suite MNO in Columbia, MD! We ordered our brewhouse from Forgeworks. January 2018 – Applied for our federal licensing, a TTB Brewer’s Notice. Started collecting and culturing microbes for our barrel program. February 2018 – Applied for Maryland Class 5 Production Brewery and Class 7 Beer Wholesale licenses. Bought chairs and tables at auction, then started refinishing them. Ground and sealed the concrete tasting room floors. Poured test batches at our first beer festival. March 2018 – Ordered three fermentors and a bright tank from Apex. 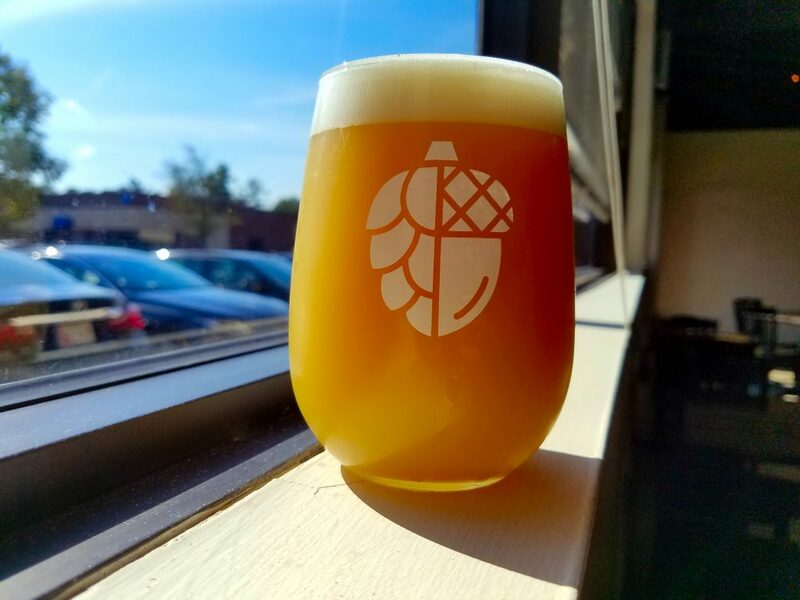 April 2018 – Granted TTB Brewer’s Notice. Hired our taproom manager and applied for our liquor license. Ordered centrifugal pumps. Brewhouse and tanks (including an extra one from DME via Sinistral Brewing) arrived and were moved in and stood up by a rigging company. May 2018 – Ordered dual-5 HP glycol chiller for G&D Chillers. Used epoxy to seal the brewing pad, and then moved the tanks into place. B&B Pipe Fitting start their work to install the water, glycol, and gas piping. July 2018 – Howard County Liquor Board hearing, license approved pending a change to the site development plan. Glycol chiller arrived and installed. Michael leaves his job as an economist. Started ordering the various hoses, gaskets, clamps, and other fittings required to make everything work. Carbon dioxide installation. August 2018 – First orders of malt, hops, and yeast. Brewed first batch (House Saison). 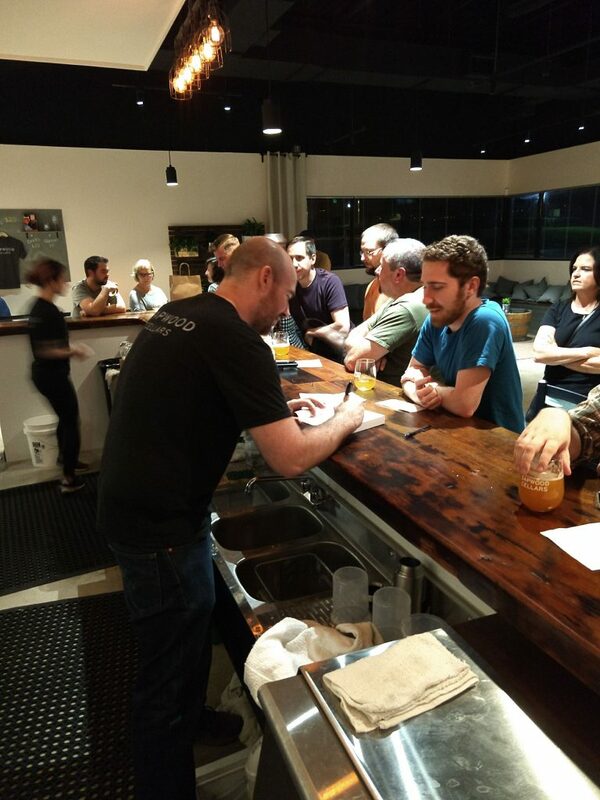 September 2018 – Tasting room beautification, completed the draft system setup, hired bartenders and opened the tasting room! Mike signing a copy of his book, American Sour Beers.